Now as seen these have solid color backgrounds. They come in your standard ranges of perfs, 10.5 up to 13. There’s even a set with a ‘short Aigrette’, printed in 1886. It’s the little diamond shape in the neck tie. There’s that Jerry Lewis, RIP, looking guy again. Here’s one I seen for sale on Ebay. The seller is asking $14.00 for it. 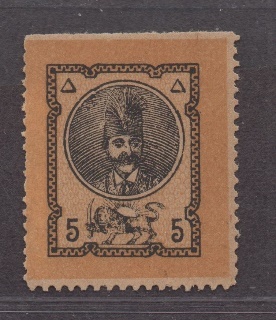 I have contacted the seller on many occasions about his fake stamp but to no avail. Buyer beware I guess. 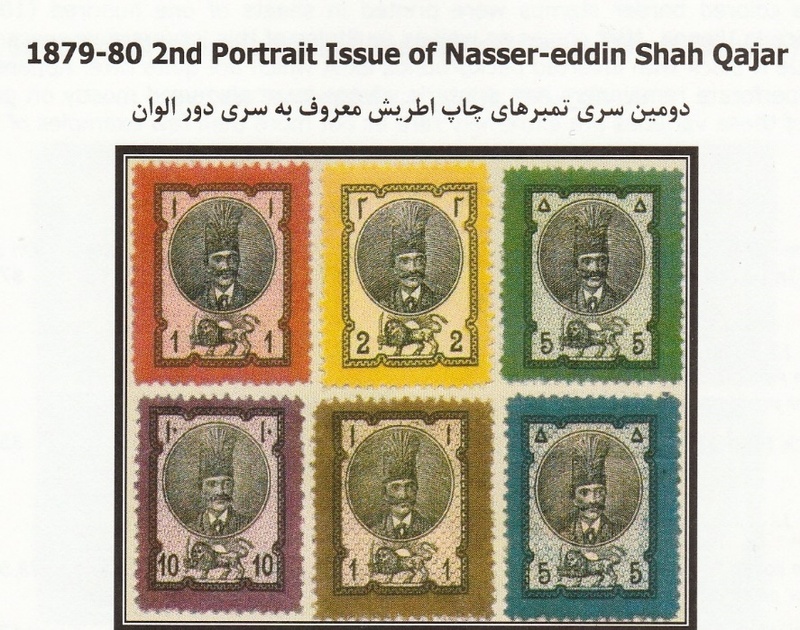 Always remember, with Iran stamps, if it’s mint from the 1880’s, really take look at your stamp. If there’s gum, no post mark from the 1880’s and the stamp looks fresh, brand new per se, seek help. 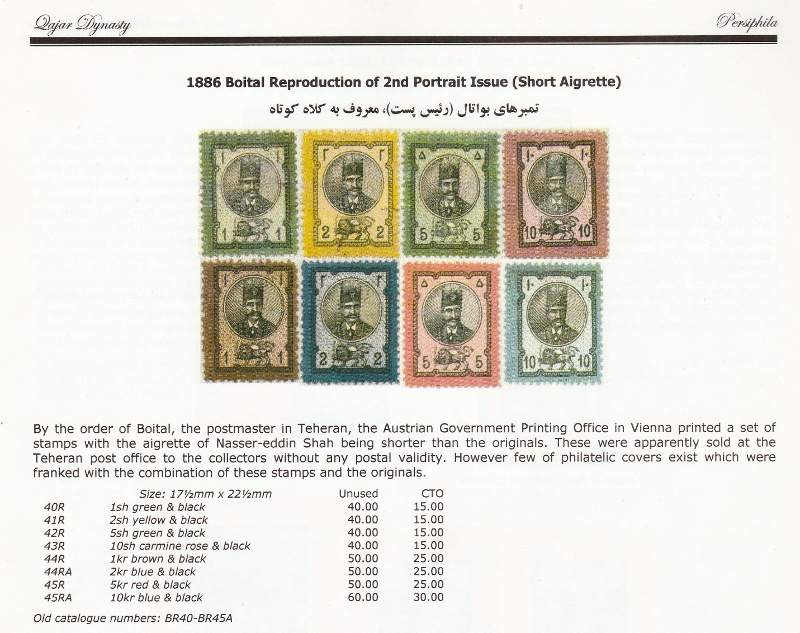 Check a reference guide, search the web, find a similar example of the stamp and compare. For me, these fake stamps are easy to see. Having knowledge is power. While I am always seeking knowledge, you can never stop learning. Lots of good reference can be found at www.persi.com. See you soon and happy collecting!